The Passion of Jovita Fuentes, a drama by Peter Solis Nery, captures the powerful sweep of political transformation that created the modern Philippine nation during the first half of the twentieth century. From the lives of well-known figures – Maestra Jovita Fuentes and President Manuel Roxas, who played important roles in Philippine history, Nery has woven a grand saga of love and betrayal in a time of social upheaval. Steeped in the grandeur of the struggle of colonial people for independence, The Passion of Jovita Fuentes is at the core a tragic story of lovers trapped by the conventions of a country that has failed to keep up with the forward march of society. 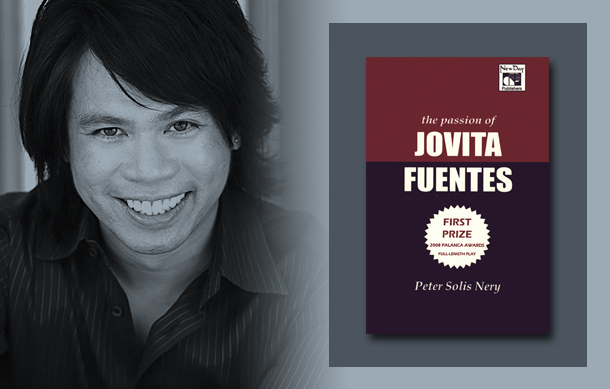 The Passion of Jovita Fuentes is Filipino writer Peter Solis Nery’s first full-length play in English. With the quest for Philippine independence as backdrop, Nery has created a spellbinding story out of the social and political forces that shaped the twentieth century. He has drawn with sensitivity and compassion the love story of two people whose lives shaped and were shaped by the country they loved. The play is a tribute to the power of art to overcome tragedy and to those whose fierce passion continues to ignite the spark of artistry in successive generations. It is surely one of the most important Filipino plays of the decade, having been awarded first prize in the prestigious Don Carlos Palanca Memorial Awards for Literature in 2008.